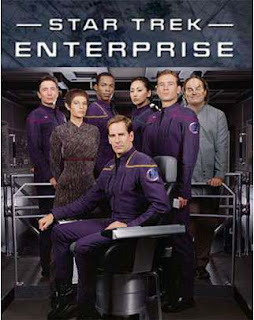 The irony is not lost on me that I only started watching Star Trek: Enterprise pretty much 10 years after the show completed airing its first season. I don't have a clear explanation way things turned out this way - I just never got around to watching the show for one reason or another. So now I'm determined to address this gap in my Star Trek experience, one episode at a time. I'll admit that I had my initial hesitations about the show when it first hit the airwaves - after all it was positioned as a prequel to the original series, and at the time the sting of The Phantom Menace was still pretty strong in my mind. Prequels remain to be a rather bad idea in my book since it risks a lot of problems from a storytelling and continuity perspective. But then we already have the show, so I figured that I might as well get around to watching it. In a world without an active Star Trek show on the air, you take what you can otherwise get your hands on and enjoy it for what its worth. Synopsis: Star Trek :Enterprise (originally just Enterprise) debuted in 2001 as the next chapter in the Star Trek live-action television franchise. The series starts in the year 2151, which is at least 10 years before the Federation was formed and thus well before the original Star Trek series. The show begins with Earth developing the NX line of startships - the first that have the capability of reaching the speed of Warp 5, thus making exploration of nearby space actually feasible. And this first ship dispatched to explore the galaxy is named the Enterprise. The ship is pretty "primitive" by Star Trek standards given it has no shields and very meager weapons, but then that's part of the unique appeal of the series. The crew is also an interesting mix of diverse personality. The captain is Jonathan Archer (Scott Bacula), who is actually the son of the man who invented the Warp 5 engine. His Science Officer and second-in-command is on loan from Vulcan - T'Pol (Jolene Blalock). The chief engineer is Trip Tucker (Connor Thinneer), who also happens to be a childhood friend of the captain. Malcolm Reed (Dominic Keating) is the rather reserved tactical officer while Hoshi Sato (Linda Park) is the communications officer and is quite the genius when it comes to learning new languages. 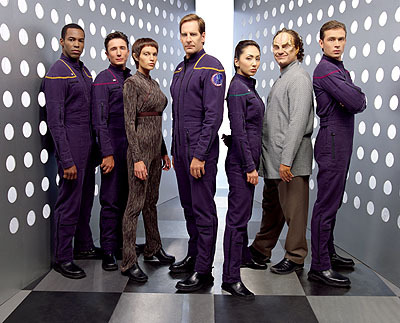 The crew is rounded up by their helmsman Travis Mayweather (Anthony Montgomery) and their chief medical officer, a Denobulan named Dr. Phlox (John Billingsley). The show casts the Vulcan race as Earth's somewhat self-appointed watchdogs. They've continually monitored Earth's development but have done so without sharing technology and other secrets that would have advanced their development. Thus there is an undercurrent of tension between the Humans and the Vulcans throughout the series as their two governments do their best to get alone as Earth begins to reach beyond its solar system in a truly significant manner. This iteration of the Star Trek franchise certainly presented some unique options from a storytelling perspective. Instead of advanced technology solving a lot of their problems, the crew of this ship are often struggling to catch up with their alien neighbors who all possess faster strips, stronger weapons and other examples of more exotic technological devices. And thus we have them trying to upgrade their weapons in the middle of a mission and also trying to make advances in terms of force fields and just getting the transporters to work consistently. On the back end, the show tried to introduce a larger meta-plot element in something only known as the Temporal Cold War, which on its own sounds like a really bad mash-up of concepts. It primarily involves some shadowy figures in the future trying to change the past through their agents, the Cabal. These are actually genetically-modified Suliban who are able to camouflage themselves very well, whether in terms of their ships or the Suliban themselves. But naturally this mean introducing the concept of time travel so early in a show that was being positioned as a sort of celebration of a more rugged version of Star Trek. This first season war rather lackluster and had a lot of moments of the cast still growing comfortable with their roles and inevitably with each other. That lack of instant camaraderie that we've seen in successful ensemble shows just wasn't quite there from the start and I feel that hurt the show's performance as a whole. Plus the Vulcans were really annoying. 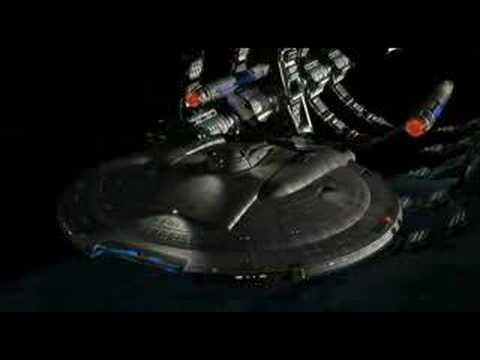 Star Trek: Enterprise is still a potentially interesting look at the early days of what would become the United Federation of Planets and how a lot of the different aspects of the Star Trek Universe might have come about. But I can only give this first season a rating of 3 flimsy excuses to have male crewman go shirtless in this season out of a possible 5.